With the calendar turning over to March on Thursday it means that Spring is just around the corner. Time to dust off those tennis rackets, golf clubs and bicycles. 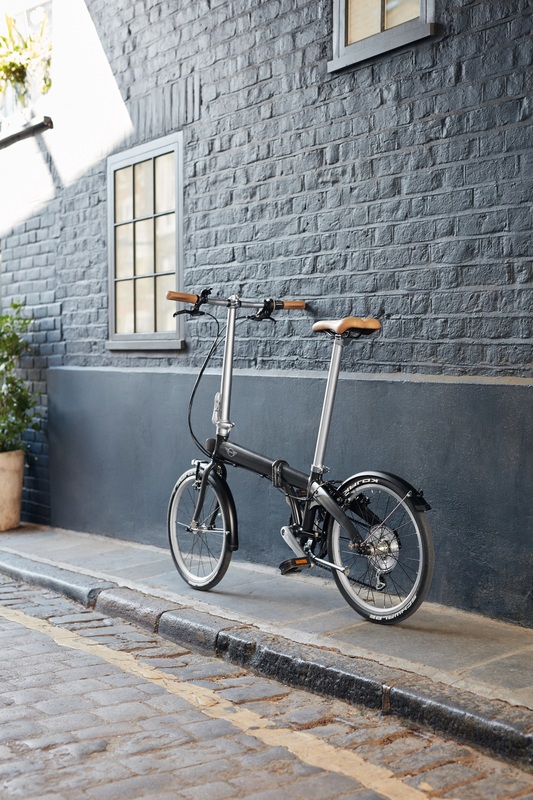 Just in time for cycling season, MINI is unveiling a new version of its folding bike. You can’t get more fuel efficient than pedaling the last mile of your journey. This folding two-wheeler can easily fit in your trunk, even if that trunk is a MINI one. MINI says that this new version is a “true all-rounder” bicycle that’s versatile. It’s made of lightweight aluminum and outfitted in such a way that it can be collapsed and unfolded again in a matter of seconds. It comes with its own bag made to stow it away in. The frame is a matte dark-grey highlighted with silver accents and a MINI Wing Logo on the crossbar. The seat and handlebar grips are both wrapped in cognac-colored leather. 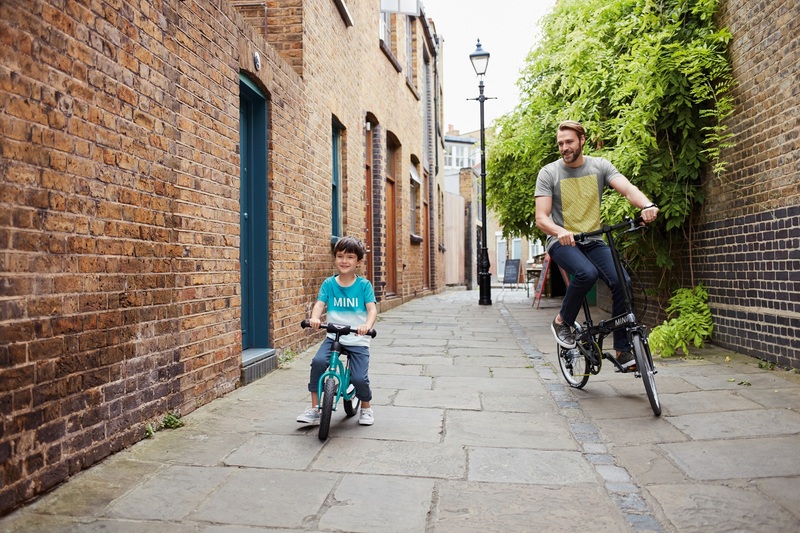 Not your average ten-speed, the folding bike comes with eight speeds and a padded leather seat. You’ll be rolling on dubs in this one as the bike comes with 20-inch wheels and features a Teflon-coated chain. All-in-all the package weighs a touch over 24 pounds and will set you back about $800 dollars. 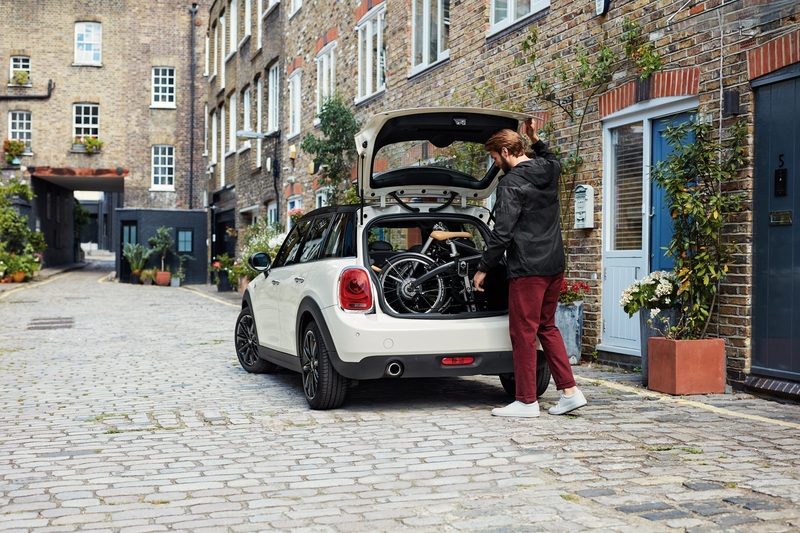 It’s the perfect compliment to your MINI. Can someone with a Hummer please buy this and use it every day? I’d love to see the looks on the faces of passersby when a guy hops out of a giant gas guzzler and unfolds this bike to pedal in from his parking spot. Three body types touted, with option of upright rear lights in the design of Britain's flag, the Union Jack.